I love challenges, and sitting on our last meeting before the wedding (lasting late into the night), I threw out an idea that has been laying on my heart for over 2 years. 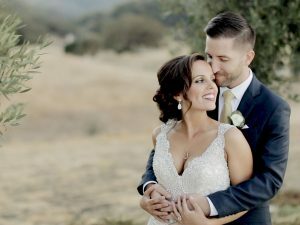 A Same Day Edit that transitions into a first dance with LIVE video. 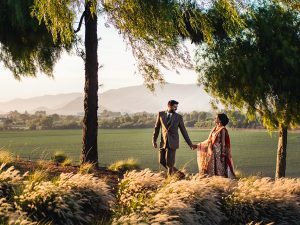 Both Rohan and Semmy didn’t fully understand how we’ll make it possible, but they gave me the “go ahead” as they knew they hired the best Bay Area Indian Wedding Cinematography team for their wedding. I automatically got excited, started testing equipment, bought adapters, bought wireless transmitters, bought more adapters and got super nervous. I knew that in order for the LIVE Same Day Edit to be epic, it has to be flawless and the bride and groom HAVE to still enjoy their first dance at the Grand Island Mansion. I wanted to make sure that the focus is still on the bride and groom, not on us. Before I jump into all the details, I want to tell you that it was amazing and everything worked. We were 100% spot on. The days were jam-packed and we required multiple teams filming at multiple location. Our last day was a 20 hour work day – crazy. Our team consisted of 7 guys, each pulling a part of the load to make the show possible. Through out the day, we copied the footage to fast SSDs (Samsung 2TB T3 SSD) and edited in Final Cut Pro X to make sure that my editing is fast and seamless. Additionally, I still wanted to include the Grand Entrance into the Same Day Edit. That meant collecting the cards from all recording camera and intricate editing right after the grand entrance to make sure we make it on time for the Same Day Edit premiere. But I want to pause here and point something out: we have done this before. Our team has pulled off Same Day Edits that include grand entrance shots that happened 15 minutes before showing of the SDE. Our challenge here was to take it onto another level – have the Same Day Edit transition into shots that are in REALTIME! Mixed live from our Drone in the sky, Crane camera, Close up camera and Stabilizer camera. This was the most difficult part to pull of seamlessly. I don’t think people realize how hard it is to pull something like this off on a wedding. During our setup 3 hours before the reception, we ran into a few issues: wireless interference at the Grand Island Mansion. We started trouble shooting and found solutions quick. Once we pressed play on the computer and started the Same Day Edit, we had ZERO issues. Everything was smooth. The bride and groom sat and watched their wedding video right before their first dance. After queueing them, watching Rohan and Semmy make their way to the dance floor for the transition to the LIVE first dance was surreal. Telling my drone operator he’s live from the sky and hearing the “wow” from the crowd was humbling. It was a challenging and an amazing experience to pull something off so that the bride and groom could have an epic moment on their wedding! And me and my team did just that! The Grand Island Mansion Wedding was simply amazing. I do want to thank Rohan and Semmy for trusting me and my team and allowing us to try my crazy idea on your wedding. 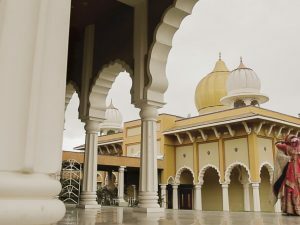 Grand Island Mansion Wedding Videography. Let us tell your story!